High solid, anti-corrosive metal protective enamel for priming, intermediate and finishing coats. For exterior and interior use. 1-pot-enamel for protective thick-film coatings and colourful designing of building components made of iron, steel, zinc, galvanised steel, aluminium, copper, unplastizised (rigid) PVC, wooden parts interiors and dimensionally stable exterior wood components. Corrosion protection for iron and steel. 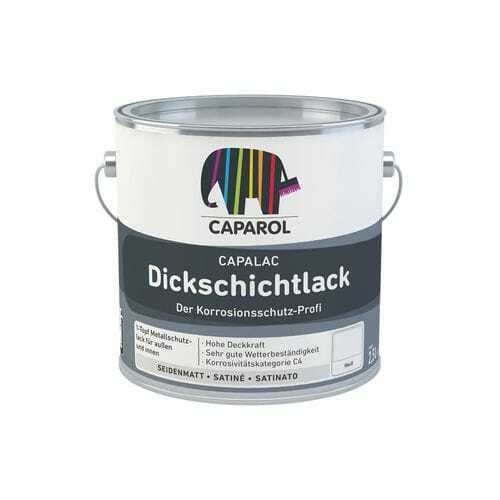 Unsuitable for coatings on roofing and anodised aluminium. 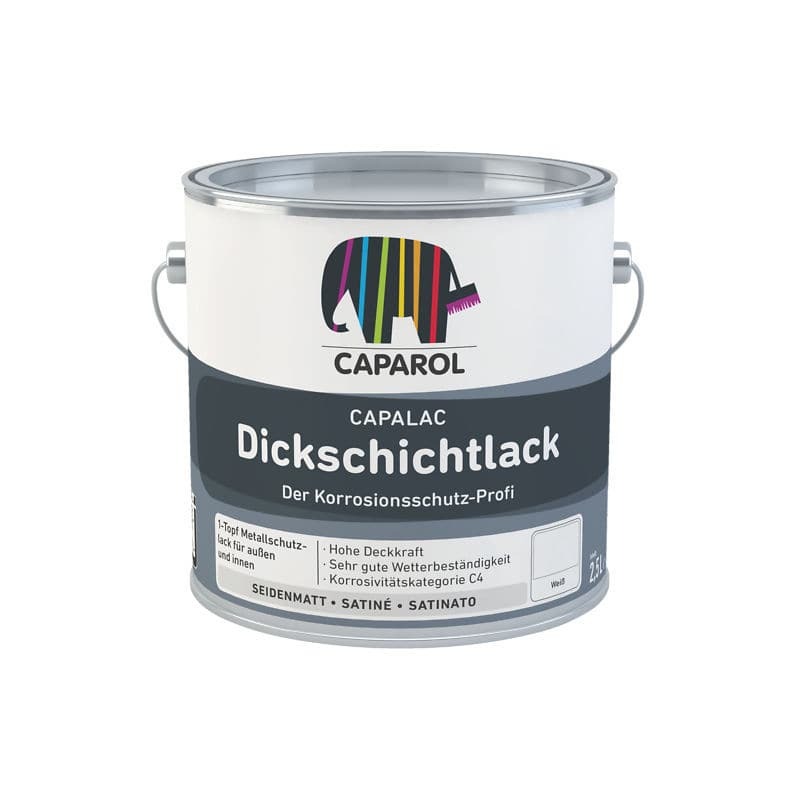 Do not use white colour shades on heating systems in order to avoid yellowing (apply Capalac Heizkörperlack /radiator enamel). Epoxy ester with non-aromatic solvents.